For Car Lovers Only: Testing the new Yokohama Advan Sport 105s on the Porsche. Lots of meta-car talk. The Pool Project commences. Taking a more relaxed view on projects, like scrubbing the siding. Anyone experiencing problems with Downcast? 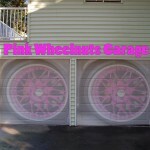 Update on future Pink Wheelnuts Garage LIVE shows. Testing tires with no weight in the trunk. An encounter with a Tesla Model S and we end on a very detailed expression of grip transitioning from front to rear. First drive (review) of a 2013 Dodge Avenger 4 door 2.4l 4-cylinder, 4 speed automatic. This car as outfitted is approx $23,500 CDN. This is an ENHANCED podcast. Bonus Episode for Car Lovers Only! I am driving the 2012 BMW X1 “Sport Activity Vehicle” but only have my iPhone to record on. I am just recording my comments and reactions as I drive the car for the first time. “Shutter” tones indicate when a picture changes, which you can view on your iPod or in iTunes while listening. This vehicle came with a 2.0litre 16 valve 4 cylynder engine with 241hp and a twin scroll turbo. As outfitted, this vehicle is $41,380 CDN. Someone gave me the keys to a 2011 BMW 323i so I am out taking it for a test drive!